Pope Benedict XVI declared Brother Andre of the Congregation of the Holy Cross to be a saint in 2010. After Andre was orphaned at a young age, he went to live with his aunt's family. At the age of 18 years, he moved to the United States where he worked as a laborer in factories and on farms. "I am sending you a saint." Toward the end of his novitiate year, Alfred applied for temporary vows. His application was refused on the basis of his frail health. A few weeks later the Bishop of Montreal was visiting. Alfred begged him to intercede. As a result Alfred became Brother Andre of the Holy Cross. The superior of novices wrote: "If this young man becomes incapable of working, at least he will know how to pray very well." Here he was able to counsel visitors to pray with confidence and perseverance, while remaining open to God's will. At times he was seen weeping with his visitors. When many of these visitors were healed, large crowds came seeking his prayers and healing. Because of the sick and troubled people that came to see him, some of the teachers and members of his Congregation thought he was a threat to the school's reputation and the health of the students. The school physician, Dr. Charette, called him Brother Greaser because of the St. Joseph oil that he applied on the sick while praying with them. When the doctor's wife fell ill and they were unable to stop her bleeding, she begged her husband to have Brother Andre visit and pray for her. As a result she was miraculously cured and Dr. Charette became one of his strongest supporters. In 1900 Brother Andre received permission to build a chapel to St. Joseph. A small room was attached to the chapel. Here he would live and receive the sick and troubled. At night he would visit the sick in their homes. 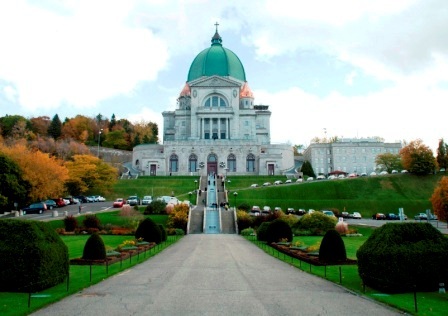 In 1914 construction was begun on a larger Saint Joseph's Oratory... a crypt church seating 1,000 people. By the 1920s the Oratory had over 1 million visitors and hundreds of cures were attributed to Brother Andre's prayers. 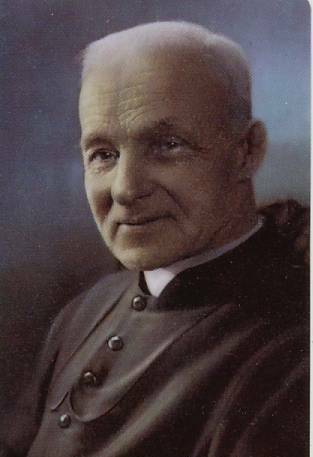 He died in Montreal on January 6, 1937 without seeing the completion of St. Joseph's Oratory in Montreal. Saint Brother André, we celebrate your presence among us. Your loving friendship with Jesus, Mary and Joseph makes you a powerful intercessor with the Holy Father. Compassion carries your words straight to God's heart, and your prayers are answered and bring comfort and healing. We ask to be made a part of God's work, alongside you, in the spirit of prayer, compassion and humility.